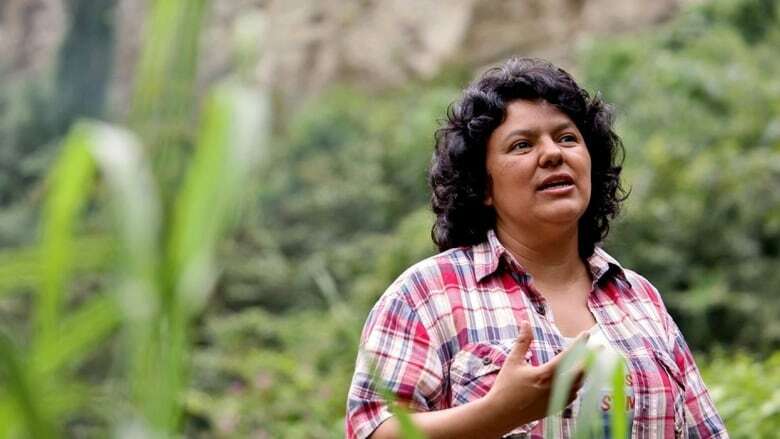 The family of slain Honduras activist Berta Cáceres says the seven men convicted of her murder are nothing but low-level "trigger-men." The nephew of slain Honduran activist Berta Cáceres says the seven men convicted of her murder are nothing but low-level "trigger-men." On Thursday, a court in the Honduran capital Tegucigalpa found that Elvin Rapalo, Henry Hernandez, Edilson Duarte and Oscar Torres carried out the killing of Cáceres, who was shot inside her home in La Esperanza in 2016, one year after winning the Goldman Environmental Prize for her leadership against a dam project. The judges also convicted army officer Mariano Diaz, ex-soldier Douglas Bustillo and Sergio Rodriguez, a manager of the Agua Zarca hydroelectric project, which Cáceres had opposed. 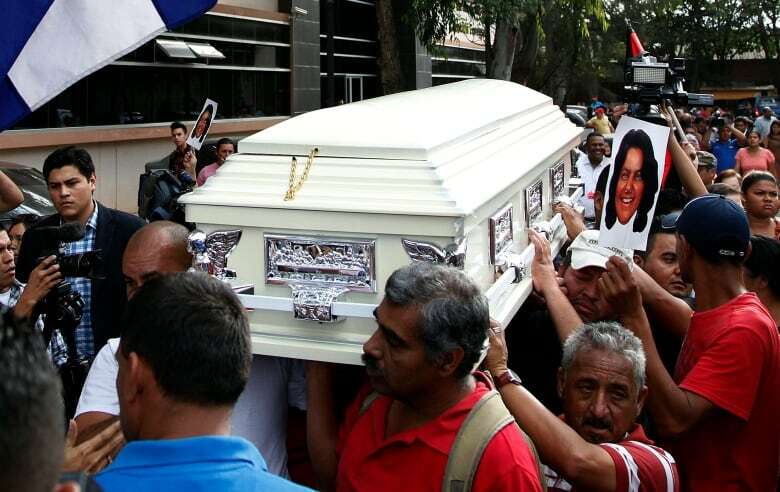 Roberto David Castillo Mejia, who was executive president of Desarrollos Energeticos, otherwise known as Desa, the company leading the construction work when Cáceres was killed, is accused by prosecutors of organizing the logistics of the killing. He is in prison awaiting trial. Desa has said Castillo and its other employees were "totally unconnected" to the crime, but Silvio Carrillo says responsibility for his aunt's murder goes all the way to the top of the company and its powerful shareholders. Here is part of Carrillo's conversation with As It Happens host Carol Off. With this verdict, are you satisfied that justice has prevailed? It's great that these men were found guilty but we still need to go after the intellectual authors. These are simply just trigger-men — really low-level people who were paid off. And this was planned by people who are higher up. When we first began covering this story, after your aunt was killed, the suspicion was that no one would ever be prosecuted. The levels of impunity in Honduras would preclude that. People were amazed that anybody was arrested, let alone seven people being convicted for her death. Is that an accomplishment in itself? It just means that some low-level guys got caught with their hands in the cookie jar. It doesn't mean that the people that planned or that paid them to stick their hands in the cookie jar are caught, which is where the real problem in the justice system in Honduras lies. Given the fact that there is this executive from Desa who will be prosecuted, doesn't that answer your question as to whether or not anybody higher up who may have been involved with the murder of your aunt is being prosecuted? That's what the Honduran government is hoping people will believe. But the reality is that there is an enormous amount of evidence that was not used in this case. It was not used because the government is afraid of where it will lead to. There hasn't been any investigation ... into the family [who are major shareholders in] the dam company. This is the Atala Zablah family? The activists were holding up banners reading "The Atala are missing": Can you tell us a bit about this family and what role they have in Desa? They're a very wealthy family that is well known in Honduras for its ruthlessness. And this family was investing in the Desa dam ... that your aunt Berta Cáceres was protesting against. She was trying to prevent it from happening because of how it would affect Indigenous people in that region. But the Desa company says they had nothing to do with this. ... What do you say to Desa? It is clear that there was a campaign against my aunt, against Copinh, the organization that my aunt co-founded in bringing together Indigenous people to protest against the dam. She wasn't doing this on her own. I mean, she was doing it with thousands of other Indigenous people who came to Copinh. This campaign started right off the bat, soon after in 2013, a campaign of denigration and of threats against my aunt and against other Copinh members. Several Copinh members have been killed. We spoke just days after your aunt's murder and you said that she was very worried about her security, that she was trying to take precautions but it was very difficult for her to stay safe. What motivated her to keep speaking out? I think Berta saw this injustice every day of her life, you know, living in La Esperanza, a community at a time where a lot of Indigenous people lived in the mountains. My grandmother was a midwife for 40 years and Berta grew up with Indigenous people coming to her house, lining up to see my grandmother for basic, basic health care. Children dying of diarrhea or tuberculosis. Very simple things that we take for granted in our lives here in the West — and Berta saw this every day. She saw how they were treated, mistreated, how they lacked education and how they were not given the opportunity for education, how they were not given any voice. So this was central to Berta's core and why she did what she did. Written by Sheena Goodyear with files from Associated Press. Produced by Ashley Mak. In a story Nov. 29 about the conviction of seven men in the killing of a Honduran environmental activist, The Associated Press reported erroneously that three of the men were convicted of lesser charges. 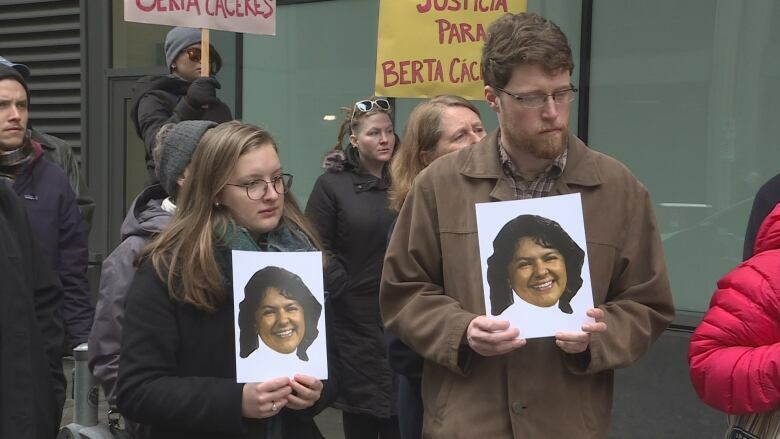 All seven men were convicted of the same charge of murder in the killing of Berta Caceres. The AP also erroneously reported the name of Oscar Torres as Oscar Galeas. This story has been updated to reflect these corrections.